Reusable nappies (which are also known as cloth nappies, washable nappies or real nappies) are becoming more and more popular as parents recognise what is best for their baby’s delicate newborn skin. They have evolved so much in the past decade so are actually really simple to use and wash, much to most people’s amazement! The biggest stumbling block comes at the research stage as there’s so much conflicting information which can make it a little daunting when investing in a cloth nappy system. Our nappy kits take the stress out it and help you make a confident choice as to what nappy kit is best for you and your baby. We have a selection of kits and bits that you can combine to suit your lifestyle. 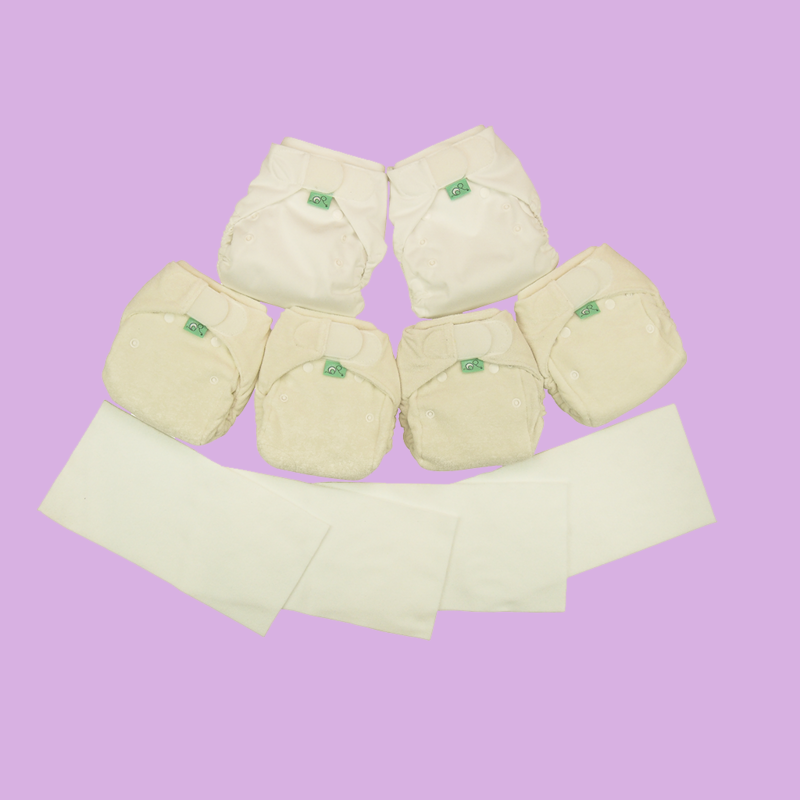 Our EasyFit nappy is our most popular choice as it’s the easiest to use and most like a disposable. It fits from 8 – 35lbs and is popular with daddies and nurseries/childminders. 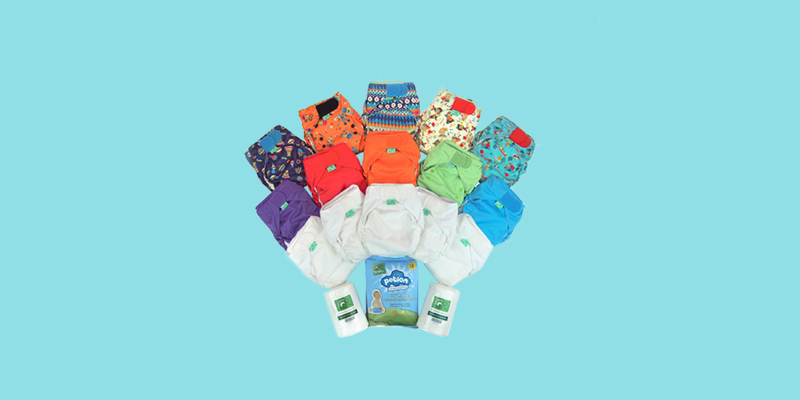 You can use this nappy from birth so our Everyday EasyFit Kit is great because it contains 15 EasyFit nappies to get you all the way from birth through to potty training. If you do find that the EasyFit is slightly big in the first couple of weeks, you can opt for some TeenyFits. It is worth noting that a newborn baby will need changed around 10 times a day so those TeenyFits for the early days are a good investment when you think about how many disposables that can amount to. When your baby starts to sleep a bit longer at night time, you can introduce our Bamboozle Stretch nappies which is available as a little Night-Time Nappy Kit containing everything you need to keep your baby happy and dry throughout the night. Available in two sizes, you’ll always get a perfect fit! One thing that we get asked about all the time is how do you wash them and so we have a kit to make that easy too! 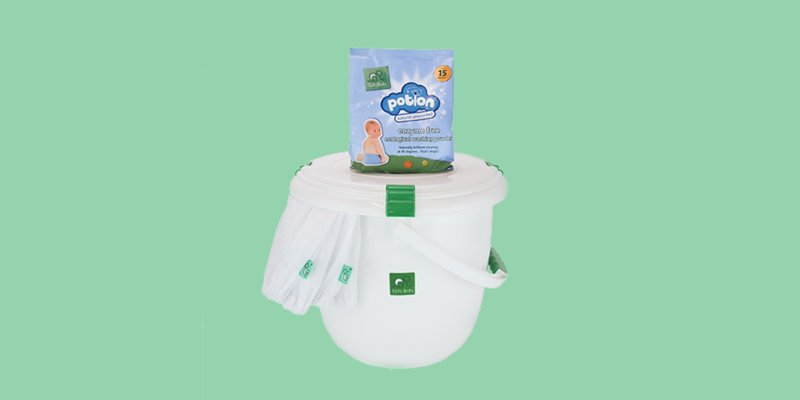 You won’t have to touch any wet/dirty nappies with our Laundry Kit. Our mesh lined bucket really is amazing! Just pop the mesh in the machine and bobs your uncle…! So, once you discover just how easy TotsBots nappies are, you won’t bat an eyelid at using them out and about. This is where our Out & About Kit comes in. Containing our beautifully soft Happy Mat and Wet/Dry Nappy Bag, you’ll always be prepared for a nappy change away from home. At just £28 it’s a good one to pop onto your baby gift list! 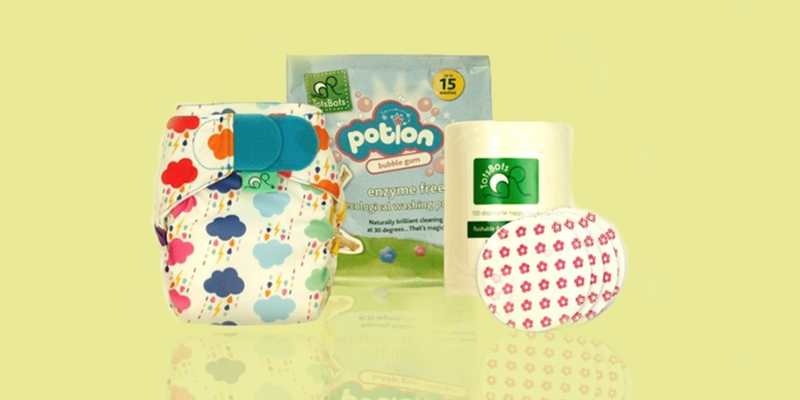 So there you have it, buying reusable nappies is easy with our selection of ready-made kits! Visit our shop to buy. Behind the Seams - What happens in an Easyfit, stays in an Easyfit!